It is with great sadness that we announce the passing of Mr. Robert Lyon Chi at the Red Deer Regional Hospital Centre, Red Deer, Alberta on Tuesday, July 3, 2018 at the age of 44 years. 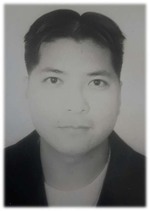 Robert was born in Vietnam on July 1, 1974 to Dan and Mary Chi, and moved to Canada in 1987. He completed his High School at Lacombe Composite High School and studied at SAIT. Robert worked at Olymel for eleven years and was the co-owner of Chicago Deep Dish Pizza for the past three years. Robert will lovingly be remembered by his wife, Juan Qi Sun; his son, Eric Chi; two daughters, Emily Chi and Ellie Chi and three brothers, Henry Chi, David Chi and Michael Chi, all of Red Deer. Robert will also be lovingly remembered by his father, Dan Chi. Robert was predeceased by his mother, Mary Chi in 2012. Relatives and friends are invited to come and pay their respects at Parkland Funeral Home and Crematorium, Red Deer, Alberta on Friday, July 20, 2018 between the hours of 8:00 a.m. and 8:00 p.m. A Funeral Service will be held at Parkland Funeral Home, 6287 - 67A Street, Red Deer, Alberta on Saturday, July 21, 2018 from 8:00 a.m. to 10:00 a.m. Interment will follow at Alto Reste Cemetery. If desired, Memorial Donations in Robert’s honour my be made directly to the family, in care of Juan Qi Sun, 6287 - 67A Street, Red Deer, Alberta T4P 3V9. Arrangements in care of Parkland Funeral Home and Crematorium, 6287 – 67 A Street (Taylor Drive), Red Deer. 403.340.4040. To send flowers to the family of Robert Lyon Chi, please visit our Heartfelt Sympathies Store.